Good Morning! A beautiful day here in Red Bulls land. Today we have the big one. A Clash of Titans, with the League Leading Los Angeles Galaxy making their first visit to The Cathedral of Football. The Galaxy are looking to put behind a string of horrible results, chief of which is getting knocked out of the CONCACAF Champions League by the USL's Puerto Rico Islanders. 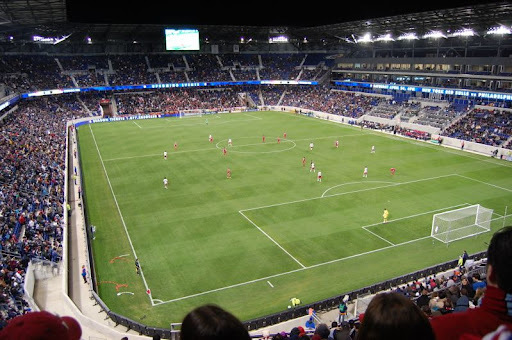 The Red Bulls, on the other hand, are looking to continue in their winning ways, after a massive 1-0 victory against the hapless Toronto FC this past Wednesday. Three points today will see RBNY further solidify their claim to that all-important 2nd place spot in the MLS Eastern Conference standings. Also, as TH14 rightly states, this game will be a barometer as to where RBNY is now, compared to the best team in the League. With all that in mind, let's get to some predictions. Huge game. When the Red Bulls and the Galaxy get together there always seem to be goals scored. I expect today to be no exception. Unfortunately I don't see the Red Bulls walking away with all three points. 2-2 final, with goals from Henry and Dane Richards for us. Donovan with two for the visitors. I'm going to predict a Red Bulls victory as well. The Galaxy have to be demoralized with recent results. Chicago absolutely tore them a new one @The Home Depot Center just a couple of weeks back. The Red Bulls will finally have their three DPs on the field a the same time. Rafa Marquez will make the Ream/Mendes defensive wall virtually impenetrable. Also, I'm predicting that Thierry Henry finally breaks out and has his way with that suspect Galaxy back-line. Red Bulls win 3-0. Tonight we will finally see, at the Cathedral of Football, our First XI in action. We may have some tired legs and some road-weariness from international travel, but we will also have the extra edge and energy provided from our first sold out league match at Red Bull Arena. Los Angeles comes in on their worst stretch of the season, They won only two of their last seven competitive matches, and have been unceremoniously bounced from the CONCACAF Champions League by the 2nd Division Puerto Rico Islanders. Both sides come into tonight's match with a strong need to play well. The Red Bulls win tonight in a 4-2 goal fest. The team, and attack, we saw in Chicago will be on display tonight, but this time we take advantage of L.A.'s recently leaky defense and finish our chances. Spread 'em out between Angel, Henry, Lindpere, and a Ream header off a set-piece. With Bouna just returning from Senegal, and Rafa Marquez possibly playing only 60 or so, combined with the still potent attack of L.A. and U.S.A.'s Landon Donovan and Edson Buddle will still manage to slip a couple past us tonight, but it won't be enough. The Red Bulls make a statement tonight. I am predicting a massive blowout by a 4 or 5 goal margin. And this time I am SERIOUS. The other 7 times I was being hopeful when I predicted goleadas. LA has not been playing well at all. We should crush them and send a message to the rest of the league that they will all be swept away in the wake of Mr Backe's glorious vision!